Milan Michigan (pronounced ‘My-lan’), located due west of Detroit and about 15 miles south of Ann Arbor, is a quiet residential community of around 5,800 residents. Though the city has grown considerably over the last decade, it retains a small-town, rural ambiance and many properties still include barns and other outbuildings. Milan is a wonderful choice for people who want the slow pace of a smaller community but with easy access to big city health care, higher education, major league sports and job opportunities. Milan offers plenty to interest shoppers and restaurant enthusiasts. The historic downtown area is filled with unique, locally-owned antique stores, gift shops and food stores. For dining, the city offers a diverse collection of eateries, ranging from pub fare, to Chinese food, to steaks and seafood. The City of Milan owns and manages several parks, with facilities that include hiking and biking trails, ball parks, playgrounds and picnic areas. The Saline River, which runs through town, provides additional recreational opportunities, such as fishing and boating. Around the region, Milan is best known as the home of the Milan Dragway, a popular professional drag racing venue that excites spectators from April through November. Turn-of-the-20th-century housing predominates in Milan, and about 25 percent of the housing stock pre-dates World War II, with another 20 percent built between 1940 and 1960. Several homes in Milan are listed on the National Register of Historic places. 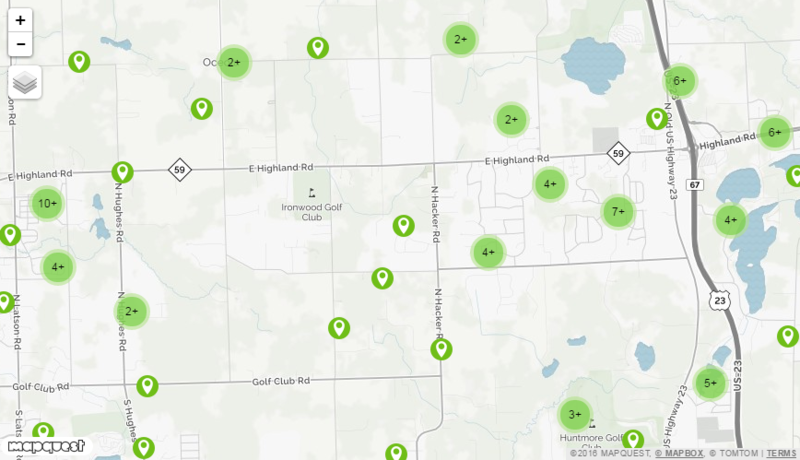 Conversely, most of the condos for sale in Milan, Michigan are more recently-constructed. Condos in this area range from traditional apartment-style condos, to semi-detached units, to townhouses. Virtually all of the condos for sale in Milan, Michigan area are low-rise, with buildings of just one or two stories. The median home sales price in Milan for the first quarter of 2013 was 124,500. As most condos in the area are less expensive than single-family homes, the median for condos is likely to be less than this figure.